The average stalking case lasts approximately two years, therefore safety planning must begin when the victim first identifies the stalking behavior and continue throughout the duration of the case. Safety plans need to be re-evaluated and updated continuously as the stalker's behavior, the victim's routines, and access to services and support changes. Below are suggestions to consider when developing a stalking safety plan. This is not an exhaustive list. In a safety plan, any recommended strategy must focus on what the victim feels will work in her best interest at any given point in time. Victims are encouraged to keep a log of all stalking behaviors including e-mails and phone messages. The log, as well as any gifts or letters the stalker sends the victim, can be collected and used as evidence. The evidence will help prove what has been going on if the victim decides to report the stalking to the police or apply for a protective order. Here is a copy of a Sample Stalking Log. Many victims have found simple ways to make the stalking affect them less. They may ask someone else to pick up and sort their mail, get a second phone number given only to trusted people, or have people at work or school screen phone calls or inform the police if the stalker shows up. Relying on trusted friends and family is important for victims of stalking to help keep victims safer and also reduce the isolation and feelings of desperation that stalking victims may experience. Stalkers use technology to assist them in stalking their victims in various ways. It is important to consider how victims may be harmed by stalkers' use of technology. Stalkers use the Internet to contact or post things about the victim on message board or discussion forums. They may also verbally attack or threaten victims in chat rooms. Some stalkers will post threatening or personal information about the victim - including the victim's full name and address. Often stalkers will e-mail the victim, or fill their in-box with spam and have been known to send viruses or other harmful programs to victims' computers. These threatening messages should be saved, especially if the victim is considering contacting the police with the case. If stalkers have access to a victim's computer, they can track them by looking at the history or websites visited on the computer. Also, stalkers have been known to install Spyware software on computers (sometimes sent through e-mail) that sends them a copy of every keystroke made, including passwords, websites visited, and e-mails sent. Spyware is very difficult to detect and a victim will likely not know she has it on her computer. If a victim believes s/he has a Spyware program on her/his computer, it is important the victim talk to a trained advocate. Stalkers use cell phones enabled with Global Positioning System (GPS) to track victims. GPS technology can also be used to track or follow victims by placing them in the victim's car and will be able to tell everywhere the car travels. If so, it may be important to stop using the phone or computer, or only use it in a manner that will not give the stalker any information about the victim's location. It is also important for victims of stalking to remain diligent about protecting their personal information that could be saved in databases. Businesses, for example, collect personal information about people, including addresses, phone numbers, last names, etc. This information can sometimes be accessed and exploited by stalkers. Victims are encouraged to consider who might have their personal information and should instruct businesses to not give out any personal information (auto repair shops, etc.) In many instances, victims can ask that their account be password protected. This password should be one only known to the victim and no information should be released or discussed until the password has been verified. If possible, have a phone nearby at all times, preferably one to which the stalker has never had access. Memorize emergency numbers, and make sure that 911 and helpful family or friends are on speed dial. Treat all threats, direct and indirect, as legitimate and inform law enforcement immediately. Vary routines, including changing routes to work, school, the grocery store, and other places regularly frequented. Limit time spent alone and try to shop at different stores and visit different bank branches. When out of the house or work environment, try not to travel alone and try to stay in public areas. Get a new, unlisted phone number. Leave the old number active and connected to an answering machine or voicemail. Have a friend, advocate, or law enforcement screen the calls, and save any messages from the stalker. These messages, particularly those that are explicitly abusive or threatening, can be critical evidence for law enforcement to build a stalking case against the offender. Do not interact with the person stalking or harassing you if you can avoid it. Responding to stalker's actions may reinforce their behavior. Consider obtaining a protective order against the stalker. 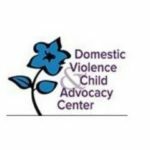 Some states offer stalking protective orders and other victims may be eligible for protective orders under their state's domestic violence statutes. Trust your instincts. If you're somewhere that doesn't feel safe, either find ways to make it safer, or leave. Public areas (some stalkers may be less inclined toward violence or creating a disturbance in public places). Identify escape routes out of your house. Teach them to your children. Install solid core doors with dead bolts. If all keys cannot be accounted for, change the locks and secure the spare keys. Fix any broken windows or doors. Have a code word you use with your children that tells them when they need to leave. Inform neighbors and, if residing in an apartment, any on-site managers about the situation, providing them with a photo or description of the stalker and any vehicles they may drive if known. Ask your neighbors to call the police if they see the stalker at your house. Agree on a signal you will use when you need them to call the police. Pack a bag with important items you'd need if you had to leave quickly. Put the bag in a safe place, or give it to a friend or relative you trust. Consider putting together a "stalking sack" that includes the stalking log, a camera, information about the offender, etc. Give a picture of the stalker to security and friends at work and school. Tell your supervisors. They have a responsibility to keep you safe at work. Ask a security guard to walk you to your car or to the bus. If the stalker contacts you, save any voicemails, text messages, and e-mails. Give the school or daycare center a copy of your protective order. Tell them not to release your children to anyone without talking to you first. Make sure your children know to tell a teacher or administrator at school if they see the stalker. Make sure that the school and work know not to give your address or phone number to anyone. Keep a copy of your protective order at work. 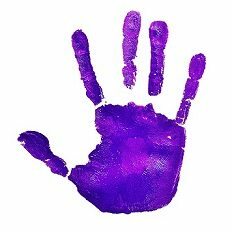 You can help stop domestic violence and child abuse. We could not do it without support from the community. Help us help others.